Images taken by space probes can sometimes be, well, “composed to a lower standard than one would expect”. However, if you happen to be someone who may be able to think along these lines, I want you to consider this: The image has, in fact, been taken by a robot, which currently floats around the solar system’s largest planet. It’s true that images are sometimes stitched together to help with composition and clarity and so forth, but come on! 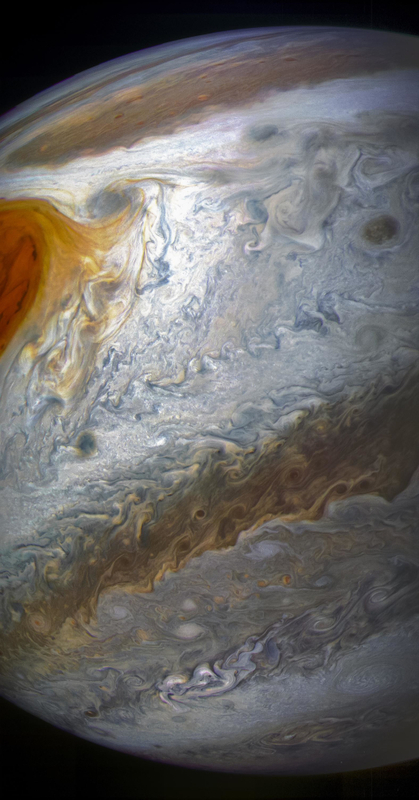 NASA’s JUNO is one hell of a mission. Forget “artist’s impression”. This is the real thing! Previous Not pretty, no, no. Not pretty.